The Jerusalem Kabbalists Group (JKG) Practicing the Kabbalah for over 20 years. During that time, the Rabbi’s were able to achieve a full recognition and sense of the upper world, which according to many kabbalah thinkers is a unique gift that only few people possess. In order to aid those who have not yet achieved such recognition, the Rabbi’s writes special talisman to help people connect with the world of truth. 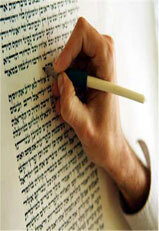 In addition, the Rabbi’s writes special talismans for different people and different problems. Some of the rabbi’s work includes talismans for finding true love (soul mate), against evil eys, infertility and pregnancy problems, for business success, and more. 1. Unlimite joy and happiness. 2. The love and support of friends. 3. Success in business and in the workplace. 5. Radiate light and beauty to everyone. 6. The warmth and excitement of a loving relationship. 7. Protection against all forms of negativity in ones environment. 8. Enhanced physical energy and health. 11. Abundance in every sphere of life. The following samples are real talismans that JKG has written over the course of 20 years. Please Click Here to purchase a talisman. The JKG talisman is written on a kosher parchment and includes many virtues that have the power to ensure success in all aspects of life. In addition to spiritual elevation, the Rabbi’s can provide you with good health, Partnership, love, fertility, protection from evil eye and from black magic ad ultimately anything you may ask for. The talisman is personal and is written by personal order. 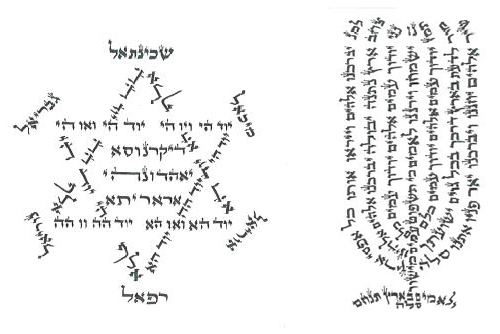 It is written in hand writing and with a special kosher ink over a deer skin All components of talisman are natural and it is written in the same way a kosher Bible is written. The talisman is a kind of life time charm. Person may order it especially for himself, it is written according to your request, name, date of birth and mother’s name. The JKG Talismans were fashioned more than 400 years ago by the name of the greatest Kabbalist of the generation, Rabbi Haim Zackuta. It was constructed according to the specific conditions and instructions delineated in various holy works. 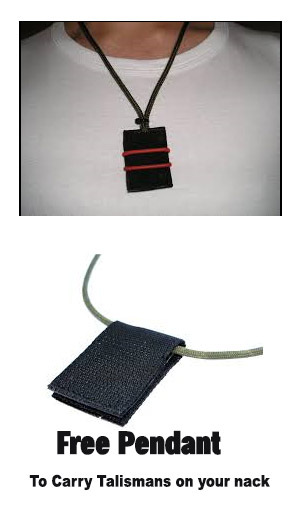 The Talisman provides you protection, prevents poverty and improves your economical situation. It brings luck and happiness and also used against the evil eyes and sadness. It sharpens your intuition. Beyond encouraging wealth, it also intensifies your personality, your charisma, your self- confidence and abilities while promoting success and prosperity in many fields. The JKG writes talismans according to individuals’ specific requests. Each talisman is designated to address a unique problem and therefore could not be passed to other people.